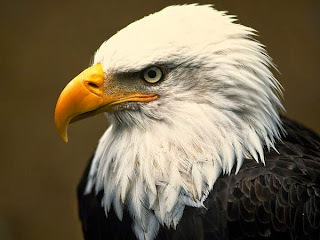 Eagle is one of powerful birds in the world, they can be found in all continents except Antarctica. 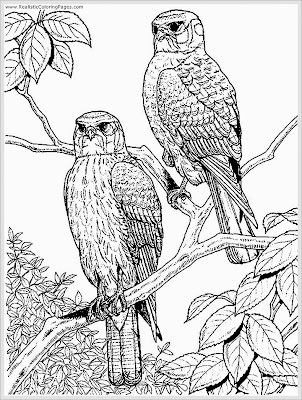 They habitat was in woods and woodland edges, grasslands and near water for some eagle who hunt fish. Even after decades of environmental education, humans still remain the greatest threat to the eagles of the world. Many eagles are shot each year by hunters and sportsman who prefer live target practice. As with other birds of prey, some eagles are hunted for the taxidermy market, a few are taken for falconry, and some are captured as part of the lucrative international trade in zoo specimens, despite the fact that eagles are protected in most countries of the world. Regardless of all the facts mentioned above, I know that many adults who love drawing and coloring eagle. Because of that below I have prepared some eagle pictures to color for adults. 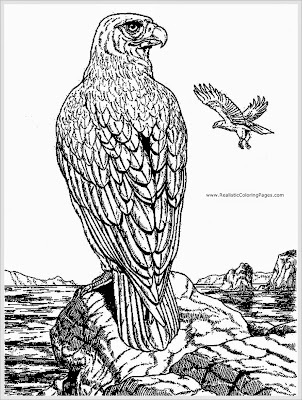 To download this free printable eagle coloring pages for adult and save the pictures to your devices, you just need to right click on the eagle coloring pages and then choose "Save Images As..". Just to remain, I also have a fable story about eagle with title "The Eagle And The Kite Story", if you want to read the story just click the title.